St. Catherins Amersham bed and breakfast, close to beautiful Chiltern countryside, is well positioned for the town centre and its restaurants, cafÃ©s and shops. London is easily accessible by rail and the station is a short level walk from the B&B. 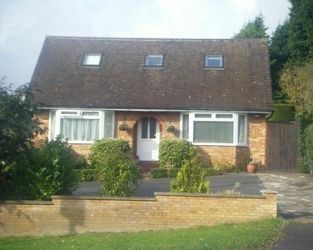 There is easy access to M25 and M40 from the B&B and ample off-road parking. Visit Amersham Buckinghamshire and the surrounding villages and stay in b and b, hotel or self-catering accommodation provided by BedPosts members. 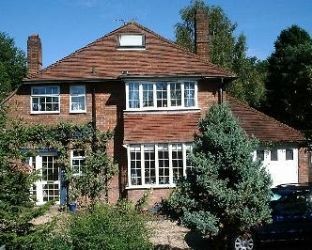 Amersham, Buckinghamshire, is in the Chiltern Hills and on the London commuter belt. Amersham has two parts: Old Amersham, on the River Misbourne, and Amersham-on-the-Hill. History records settlements at Amersham before the Anglo Saxon age. Amersham is a charming old town in the Misbourne valley with a modern suburb on the hills northward. The spacious main street is bordered by a lovely sequence of 17th and 18th century buildings with a town hall on arches and attractive small almshouses. A monument on the hill commemorates Lollards and other martyrs burnt at the stake during the Marian persecutions. 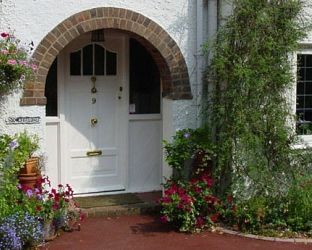 If you seek accommodation near Amersham in Buckinghamshire you have come to the website of a “club” of providers who offer affordable quality accommodation around UK in hotels, bed and breakfasts, guesthouses, inns, and restaurants plus self-catering cottages and apartments .